There are many types of companies, the most popular form are; private limited and public limited company. Both have its own advantages and disadvantages. Therefore, an entrepreneur will have to choose the type of company depending upon the funding plans. In simple words, the private limited company is a joint stock company. However, it is governed under the ambit of the Indian Companies Act, 2013. It is formed by voluntary association of persons with a minimum paid up capital of 1 lakh rupees. While the maximum number of members is 200, it does not include the current employees or ex-employees who were members during their employment terms. Employees may continue to be the member after their termination of employment in the company. Transfer of shares is restricted. It prohibits the entry of public through subscription of shares and debentures. The term private limited is used at the end of its name. According to the Companies Act, 2013, 'public company' means a company which is not a private company. A public limited company is a joint stock company. It is governed under the provisions of the Indian Companies Act, 2013. While there is no limit on the number of members, it is formed by the association of persons voluntarily with a minimum paid up capital of 5 lakh rupees. Transferability of shares have no restriction. The company can invite public for subscription of shares and debentures. 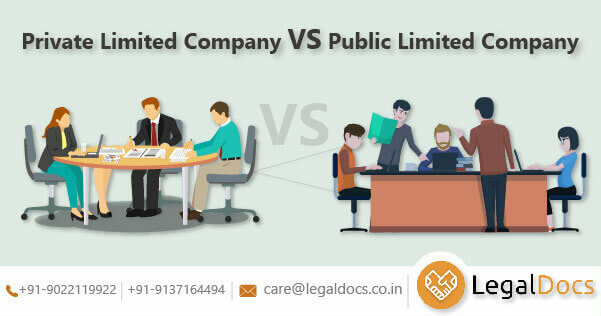 The term public limited is added to its name at the time of incorporation. A public limited company is a company listed on a recognized stock exchange and the stocks are traded publicly. On the other hand, a private limited company is neither listed on the stock exchange nor are they traded. It is privately held by its members only. The minimum number of members required to start a public company is seven. As against this, the private limited can be started with a minimum of two members. In case of a public company, it is compulsory to call a statutory general meeting of members. There is no such compulsion in case of a private company. The issue of prospectus or statement is mandatory in case of public company. However, this is not the case of a private company. The public company will require a certificate of commencement post incorporation to begin its operation. In contrast to this, a private company can start its business right after its incorporation. The transferability of shares is restricted completely in private limited company. While the shareholders of a public company can transfer their shares freely. Since there is a limited number of people and fewer restrictions, the scope of a private limited company is limited. In contrary, the scope of a public company is vast. This is because the owners of the company can raise capital from the general public and have to abide by may legal restrictions. There is a greater regulatory burden on a public limited company. This is because a great amount of information has to be made available to the public who are shareholders or prospective shareholders. A lot of money has to be invested in order to prepare reports and disclosures that match with the regulations provided by SEBI. A signed written resolution is received by holding general meetings of a private limited company. While it mandatory for public companies to appoint a company secretary, private companies may choose to do so only at their will. Depending upon one's need a type of company is chosen to be registered. However, the principal reason for choosing a public company is to have the ability to offer shares to the public. One has to pay a price for this by complying with a greater number of restrictions and considerable loss of privacy. In situations where a public company no longer wishes to operate within the business model, there is an option for it to return to the private limited company. This can be done by buying back all outstanding shares form the current shareholders. The company is delisted from the stock exchange where it has registered once this purchase is done. It will then return to operate as a private limited company. Recent finance Bill has further added a new clause relating to the value of assets held by private companies. According to this, prior to three years of converting a private limited company, the value of assets as detailed in the books of accounts should not exceed 5 crore rupees. In situations where a private limited company thinks of converting into a public company, it will make the compliances easier and a company will exercise greater control. This means a company would no longer hold a meeting of shareholders and pass a special resolution regarding part related transactions. Recent trends revealed by Ministry of Corporate Affairs show a sharp increase in the number of companies that have rushed to become private entities. This has been the scenario ever since the enactment of the Companies Act, 2013. Are you looking for Public Ltd or Private Ltd Company Registration in India? 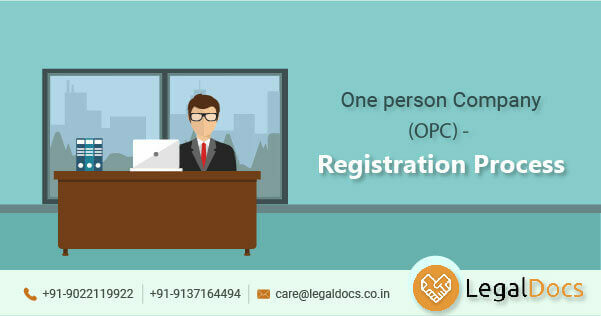 Legaldocs will guide you in getting all necessary Documents and Registration required to Private Ltd or Public Ltd Company in India, Please click on the following link to connect with our consultants. difference between Ltd. and Pvt. Ltd.